Cooking a meal for your significant other is a wonderful way to say “I love you”. If you want to make a splash, planning is going to be your best friend. Taking the time to think through your menu and organize yourself will ensure a smooth meal come go-time. How to plan a romantic Valentine’s Day dinner is simple thanks to our tips and recipe suggestions below. Valentine’s Day is the opportunity to make your loved one feel special, so set your table to match the occasion. Use your best table cloth, plates and cutlery. Fold cloth napkins into fancy shapes (it’s easy, we promise) to add to the sense of occasion. 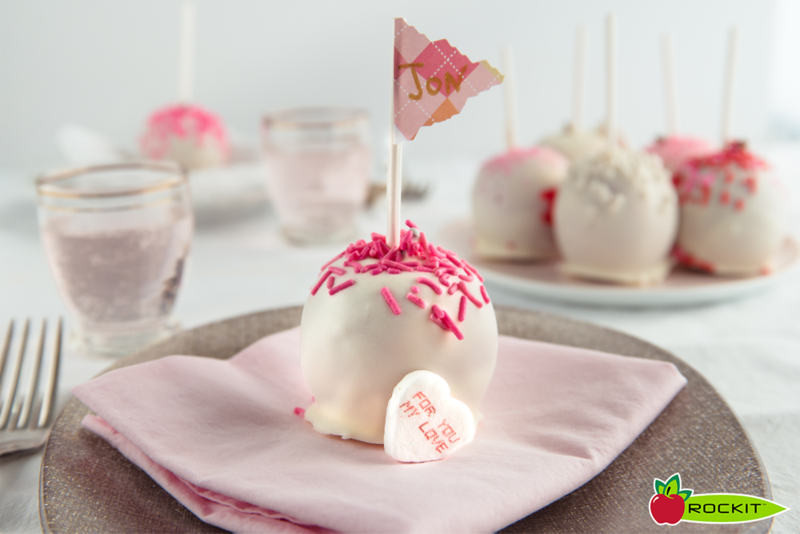 Make creative decorations and place cards like our dipped Valentine’s Day Rockit® apples (pictured above). Oh, and don’t forget to dim the lights and add some candles! Every romantic dinner should start with some drinks and bites to eat. Valentine’s Day is about spending time together, no need to rush. 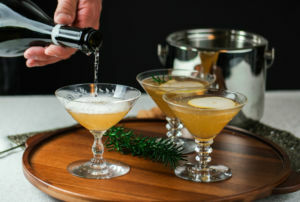 Cocktails, like our sparkling pear cocktail (pictured above) and cherry gin and tonic, are a classic and chic way to start your evening. Alternatively, mulled wine makes a wonderful cozy drink to kick off the festivities. Bits and bites are perfect for showcasing your creativity and going beyond the everyday chips and dip. 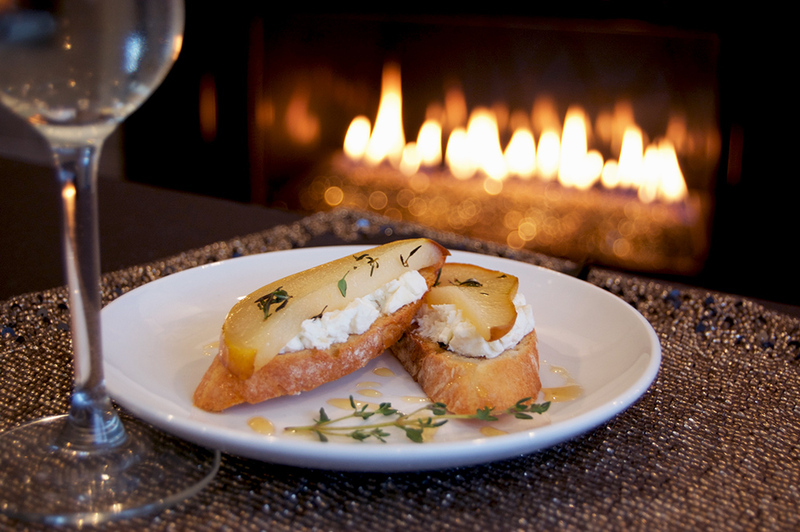 Our roasted honey and thyme pear crostini (pictured above), Bosc and blue cheese radicchio cups, and apple, walnut and blue cheese triangles are easy to make and will definitely impress your special someone. Soup is a great starter since it can be made ahead of time (you’ll be thankful on the day, believe us) and can be beautifully presented with garnishes. 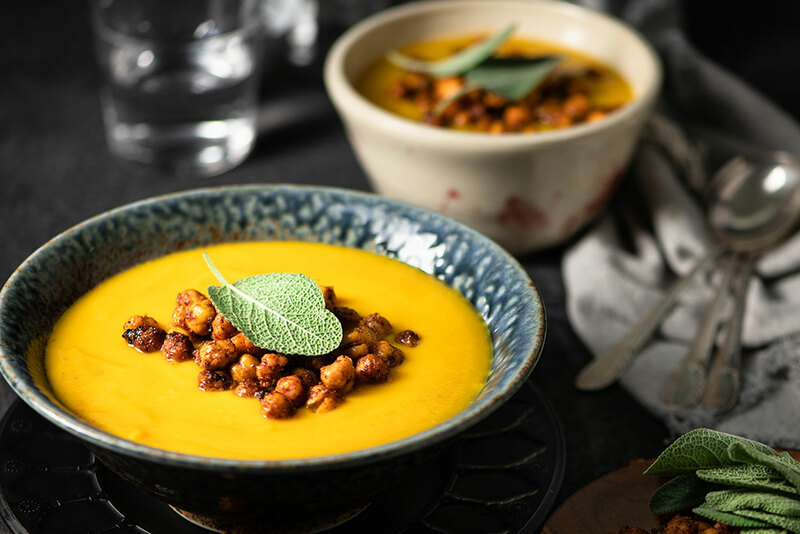 Our Butternut squash and pear soup (pictured above) uses spiced chickpeas to create a stunning presentation, while our apple and roasted parsnip soup is finished with a dramatic swirl and chopped herbs. Salads are also an excellent choice because they look gorgeous and many components, including the vinaigrette, can be made ahead of time as well. They are lighter than soup; a good choice if you have rich dishes planned for the following courses. 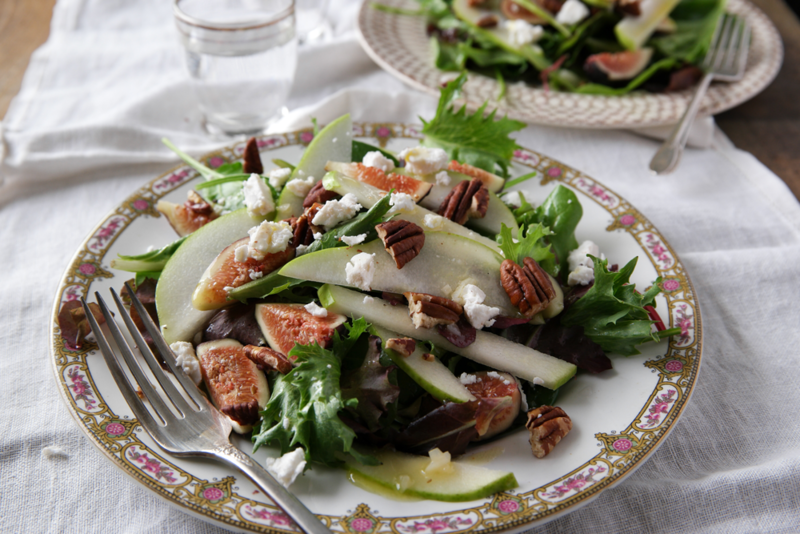 Our pear, fig and feta salad is as delicate as it is attractive and we love the superfood crunch salad and apple pear fennel salad. 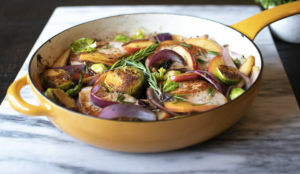 If you’re slaving over the stove you’re not spending time with your loved one, so pick a straight-forward and delicious recipe like our skillet pork chops with Brussels sprouts and apples (pictured above). Complement your chosen protein with colorful side dishes that are eye-catching and simple to make. Our stuffed acorn squash, vegetable skillet roast, roasted pears stuffed with quinoa, and scalloped sweet potato and apples are all fit for purpose. Dessert should be the climax of your romantic meal. 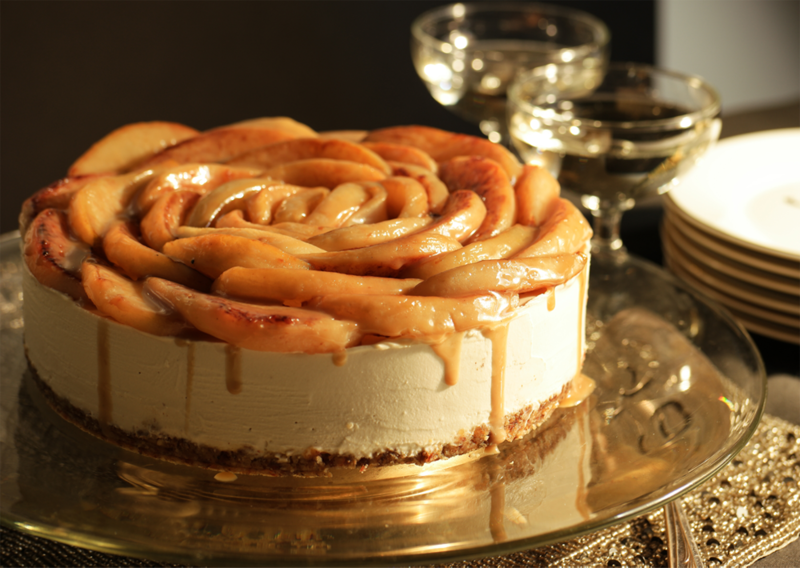 Pick a beautiful recipe to blow your partner away like our raw vanilla cheesecake with caramelized pears (pictured above), mini Rockit® tartes Tatin, poached iced tea pears, or cherry chocolate pavlova. 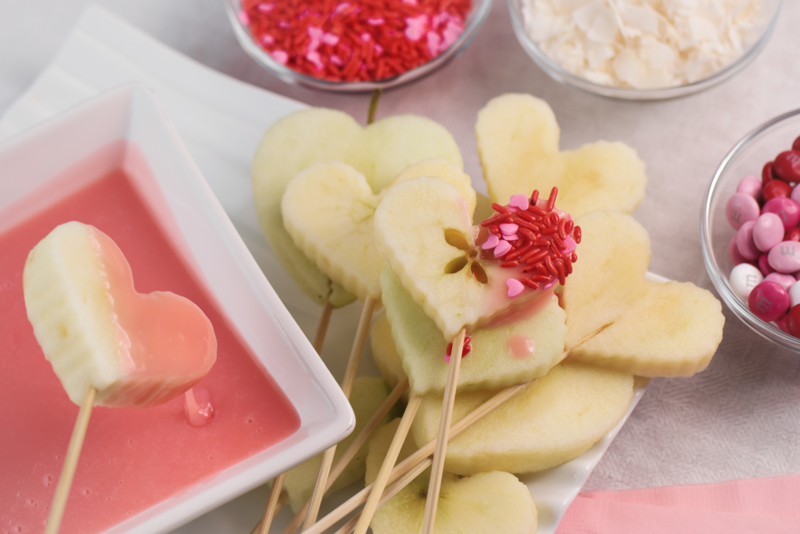 Alternatively, turn up the heat with a chocolate fondue like this apple and white chocolate number!